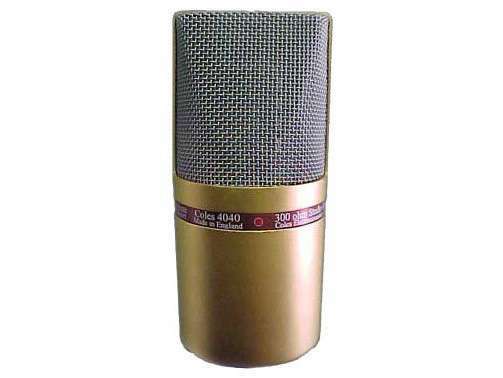 This is the first ribbon microphone that Coles have developed using the very latest magnet technology. The frequency response of the 4038 is exceptionally flat from 30 to 15,000 c/s but where the 4038 starts to drop off, the 4040 carries on past 20,000 c/s and throughout this range, like the 4038, the shape of the bi-directional (figure of eight) polar response is maintained substantially constant both in the horizontal and vertical planes, giving a natural smooth sonic quality textured response to sound signal being picked up. There is also no discernible stray magnetic field, making it very easy to mount head to head in a “Blumlein” (crossed figure-of-eights) stereo configuration.